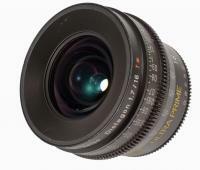 If you are looking for a particular Cine lens, please do not hesitate to ask. There are very often more Cine lenses for sale then shown on this webpage. Below this section you find Zeiss lenses for sale. Zeiss T2 standard, Ultraprime, Masterprime, Compact prime, Arri macro lenses. ... more information	 Contact for price! Meter scale in good condition. 40mm, 50mm, 85mm and 1.4 extender for the 85mm to make it effectively a 120mm. Set of 8 used Zeiss Ultraprimes in meter scales, PL mount, ex-rental. Zeiss 14mm Ultra prime for sale, meter scale, ex-rental. Zeiss 180mm Ultra prime for sale, meter scale, ex-rental. Zeiss 25mm Masterprime in near mint condition, privately owned. Set of 8 x Zeiss Ultraprimes for sale, metric scales. 16mm, 24mm, 32mm, 40mm, 50mm, 65mm, 85mm and 135mm. Private owned in good condition. Zeiss 10mm T2 for sale, PL mount in good condition. Zeiss 85mm T1.4 Mk1 (AB) superspeed for sale. This lens goes in the US as AB (Arri Bayonet), in Europe as Mk1. With the distinct triangle iris. Single lens in good condition. pre-owned Zeiss 300mm plus 2x extender for sale. PL mount, ex-rental in good condition. used Zeiss Compact prime lenses CP2 in meter for sale. 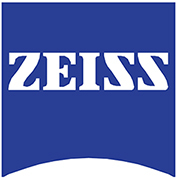 pre-owned Set of 3 Zeiss Variprimes for sale in meter scales. Below this section you find used Cooke prime lenses for sale. Feet scales, in good condition. Set of 8 x Cooke MiniS4 lenses for sale, feet scales, PL mount. Ex rental in very good condition. 18mm, 25mm, 32mm, 40mm, 50mm, 75mm, 100mm and 135mm. Some are originally branded Cooke Panchro, others as MiniS4. 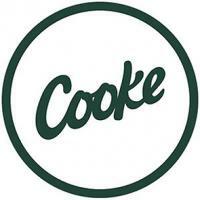 Due to re-branding By Cooke factory on these lenses. 9 x uncoated elements for Cooke MiniS4 lenses for sale. These elements are uncoated on the back side but have coating on the inside to avoid internal reflections. This was a special order and is a unique set. Canon / Optex rehouse 800mm, PL mount. Clairmont/Century Shift - Tilt lenses, set of 10. 18mm, 24mm, 35mm, 45mm, 55mm, 75mm, 90mm, 105mm, 135mm, 150mm. 6 x Elite Anamorphics 25mm, 40mm, 50mm, 75mm, 100mm all MK4 except 100mm is MK5. 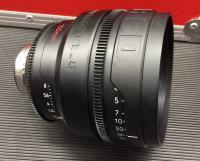 Kinoptik 10mm in Century Precision Optics rehousing, T1.8 in PL mount. Original 9.8mm Kinoptik Tegea T1.8, rehoused 10mm. Private owned RPP in feet scales. 18mm, 25mm, 35mm, 50mm, 85mm and 100mm. 2 x PL extender, doubler. The maximum clearance on the x2 extender is about 14mm behind the PL flange.